Break poppadums in half, then each half into 3-4 pieces roughly triangular in shape. Microwave the poppadum pieces in batched of about 6 for 25 seconds or until lightly golden and crunchy. Set aside to cool then store in an airtight container until ready to use. Heat the oil in a large heavy bottomed pot, add the mustard seeds and cook over a medium heat 1-2 minutes until they are starting to pop. Add the onions, chilli, salt and pepper, and cook over a medium high heat for 10 minutes until turning golden. 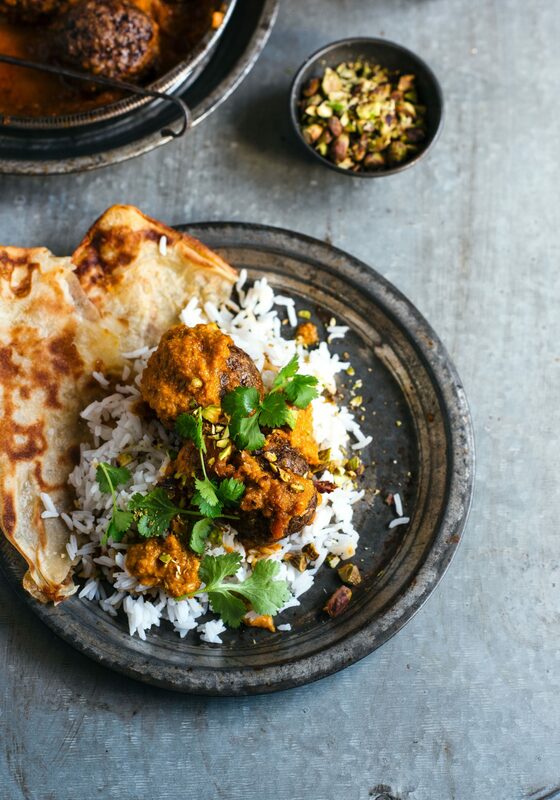 Add the garam masala, turmeric and chilli powders and cook a further 5-8 minutes until golden and fragrant. Set aside to cool. Put the yoghurt, mint, coriander and lemon zest in a bowl and whisk to combine, then season well to taste with salt and pepper. Store in a sealed container in the fridge until ready to serve. Remove the lamb from the fridge. 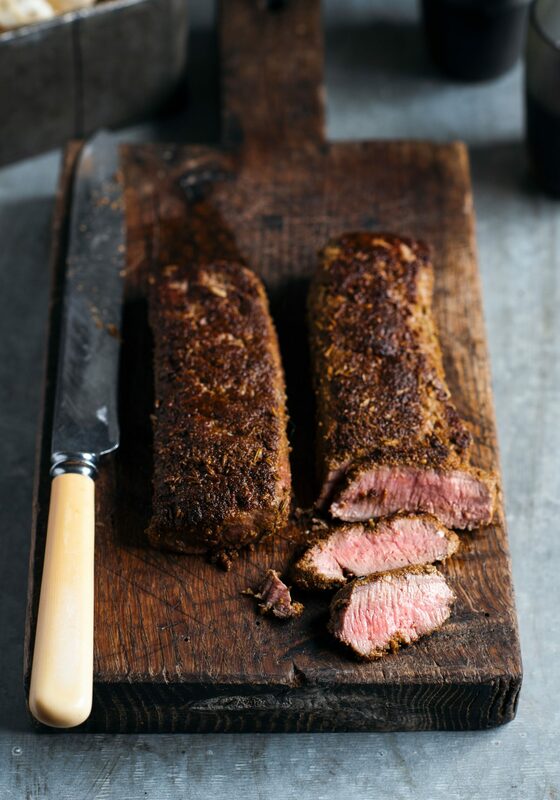 Drizzle the lamb with the oil and rub to coat well. Mix the spices, salt and pepper together and dust over the lamb, coating well. Leave to sit for half an hour at room temperature then bring a frying pan to a medium high heat. Sear the lamb on all sides for 3-4 minutes then leave to rest for 5 minutes. 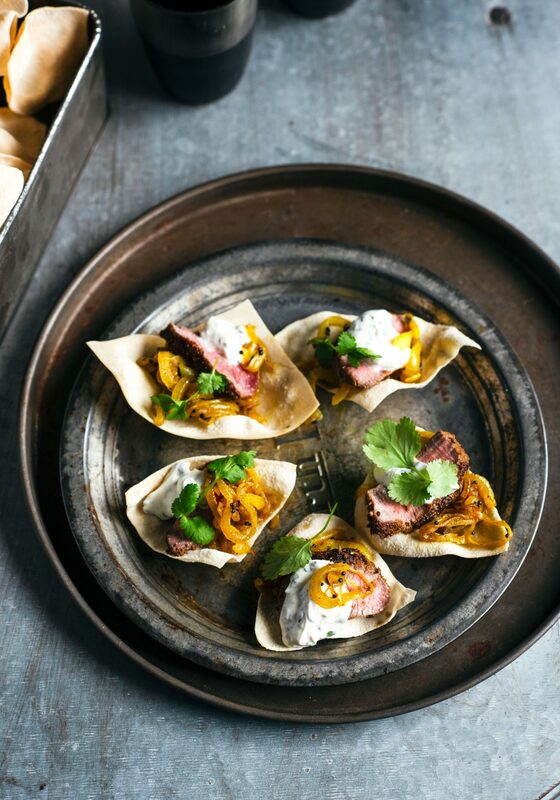 To serve, angle slice the lamb into slices and serve on the poppadum ‘crackers’ with spiced onions and a dollop of yoghurt. Garnish with reserved coriander leaves or microgreens and sprinkle with black sesame seeds to serve. Line a large oven tray with baking paper. Put the venison mince in a large bowl and break up with a fork. Add the ginger spices and garlic, season with salt and black pepper and stir to combine. Soak the bread in the milk in a small bowl for 2 minutes, then add to the venison with the egg, and mix all together. Roll mixture into 16-17 balls, and place on prepared tray. Chill, covered, in the fridge while preparing the curry sauce. Preheat the oven to 200˚C. Put the onion, chillies, garlic, ginger and spices in a small food processor and blitz to a paste. Heat oil in a large, deep, heavy based oven proof frying pan and cook onion spice paste for 8 minutes. Add tomato paste, brown sugar and coconut milk and simmer for 25 minutes then stir in yoghurt. 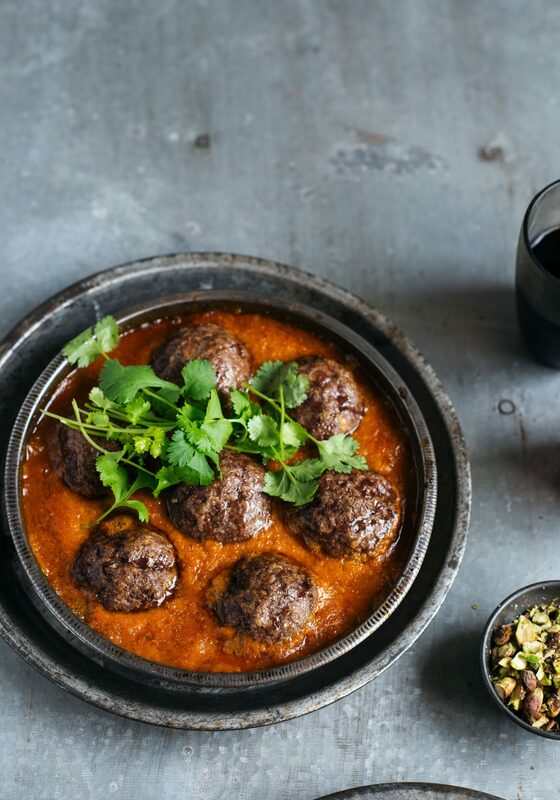 Put kofta on an oven tray lined with baking paper, spray lightly with olive oil spray and bake for 10 minutes then add to the simmering sauce. (At this point you can transfer the sauce and kofta to oven-proof dishes like I did). 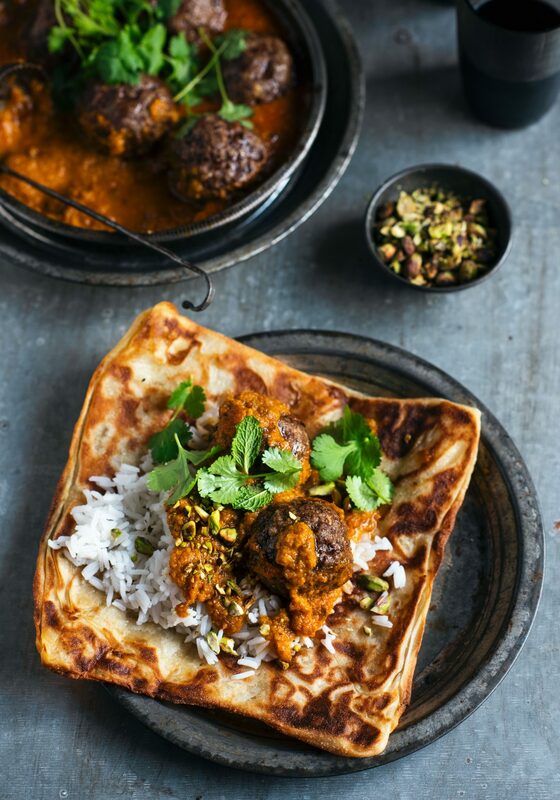 Put the combined sauce and kofta in the oven and cook a further 10-15 minutes until the kofta are cooked through, then serve with warm roti, paratha or naan and freshly cooked rice. Looks seriously superb! Thankyou for the inspiration!